New Patient Exam & Full Set of Images (x-rays) for only $150*. This offer cannot be used for an Emergency visit. *Please call our office for full details! 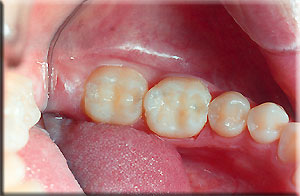 A composite or bonded filling is a white filling material (tooth colored) used to repair small cavities, broken or chipped teeth and worn teeth. At Bryn Mawr Dental Associates, we only utilize tooth colored bonded fillings and not amalgam ( silver fillings). We have found that over time, amalgam fillings lead to additional decay due to leaking as well as fractured teeth which often require crowns or onlays. 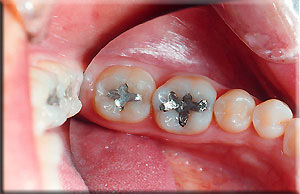 Teeth restored with white fillings are less sensitive to hot and cold than teeth restored with silver fillings (amalgam). Contact us for more information about Tooth Colored Fillings.